The humble pallet strikes again! 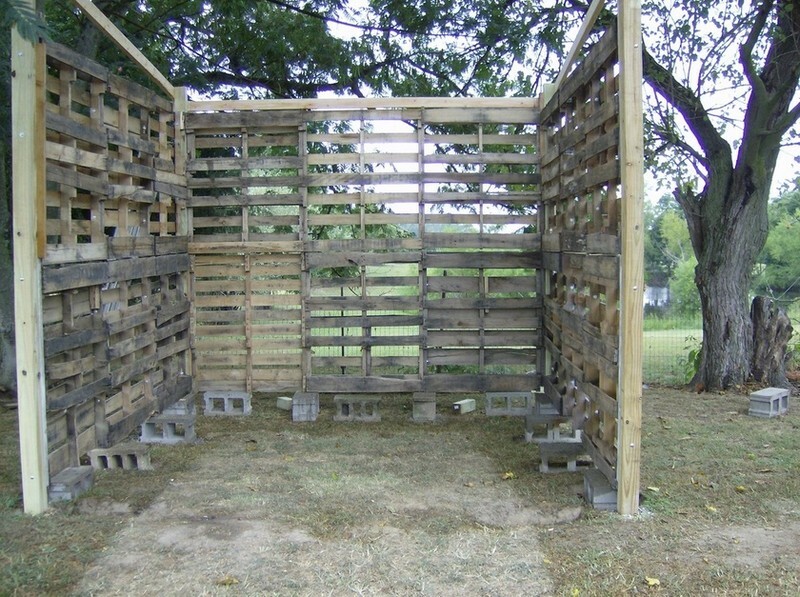 When you think of pallet projects, do you think in terms of “rough and ready”? Well, it certainly doesn’t look like it, but this shed is made from repurposed pallets to in order to keep costs to a minimum! What’s great about using pallets in building a shed is that you don’t have to dismantle them. You can simply join whole pieces together to build the walls as long as the pallets you get are of the same size. There are also plenty of old doors waiting to be used again. You can often get them free, or at a very low cost, online. The double insulated, sliding glass door used in this shed was obtained for free. The idea of having this kind of door is really clever as sliding doors like this are usually a little wider opening than a standard door. You also get ample natural lighting inside reducing or eliminating the need for one or more windows. The pallet framing system makes for a fast build and also offers excellent strength and rigidity. What would you use this shed for?